With monsoon being too generous on our beloved city, Doon is high with its salubrious weather, cool winds, romantic atmosphere and aromas of hot delicacies all over the town. Its the season of tempting soups, gooey pizza’s, scrumptious dessert and for some a time to make merry while boozing with a group of mates or probably having a heart-to-heart session. The petrichor after the rain makes the monsoon even more tempting and springs up the desire to satiate your palate with some smokinn hot, juicy and hearty meal. Such kind of a cool and cozy weather in Doon calls for some extremely delicious cave-man style charred and cherish-able barbecue meal. Therefore, Keeping in mind the luxury and comfort of your tastebuds, today we have for you a list of Best Places for a Barbecue Meal in Dehradun. So now you won’t just be all poetic in your head and heart, but your tummy and taste-buds will also recite the chorus of pleasure along with you while gazing at the exotic beauty of the hills and munching on to the decadent Himalayan flavours. 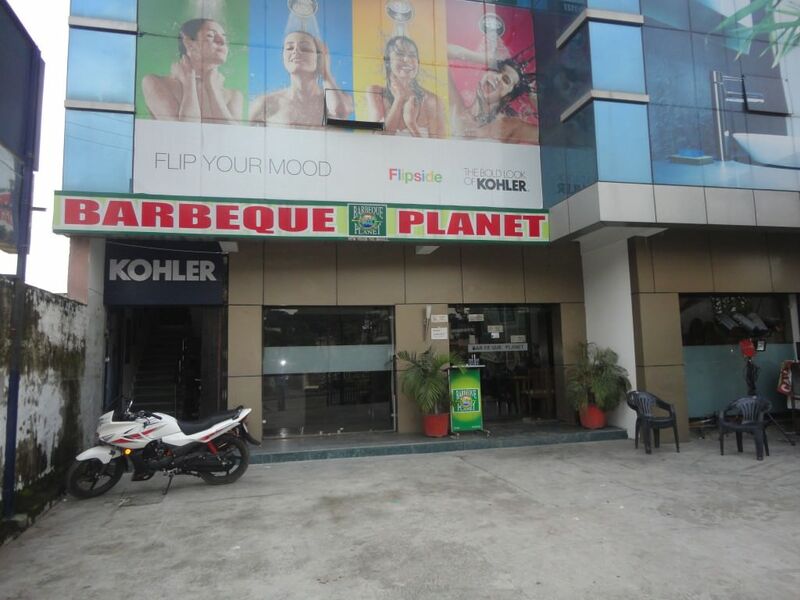 To find out the Best Barbecue Place in Dehradun, read on. A very well-known and and an extremely enticing place, Barbecue Nation in Dehradun has been a delight to many Doonites since its very opening. It always had exquisite and exotic flavours to deliver to all its guests but now, with the Launch of a Bar Menu in Barbecue Nation in Dehradun, things got even better folks. Now you can not only gorge onto the scrumptious barbecued food but you can also have your kind of desired drink for yourself. Be it a quick cocktail, a thick shake or any aerated drink; you can enjoy everything and all the things at Barbecue Nation. Barbecue Nation has a massive menu which gives you the liberty to choose from ample of dishes. You can start with the starter pack where they serve a whole lot of starters in both vegetarian and non-veg cuisines. The prawns and the chicken are smoked to perfection, while the pineapple is the most juciest one that you will have in the entire town. The hero of the vegetarian starter is the Veg Seek Kebab loaded with the goodness of all the vegetables, a great way to eat all the veggies. The Mainc Course served at Barbecue Nation is another delight with the Chicken Biryani and the Loki-Ka-Kofta being the heroes of the dishes. 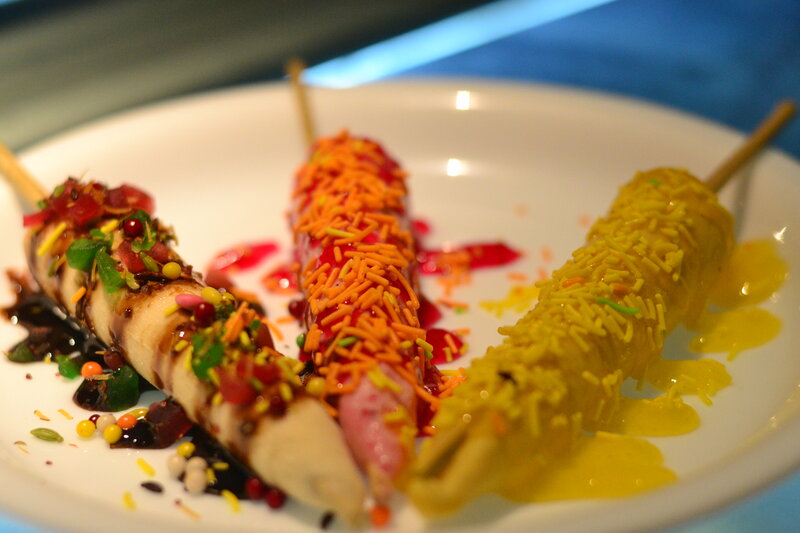 Talking about the dessert section, Barbecue Nation has the best Kulfi in the town, you can customize your Kulfi and even have in the form of a blended shake with all the rich kulfi shakes that are available with the many amazing drinks here. you have the option of trying any kind of beverages that you would like be it a hard drink or an exotic lemon burst, Barbecue nation has all of it. It is one amongst the Best Barbecue Buffet Restaurant in Dehradun. Barbecue Planet is another sizzling delight that is there to satiate the pleasure of those gloomy monsoon days when you crave more for some smoked flavours of tender meat and charred veggies. Barbecue Planet serves you the barbecue option at the time of the dinner. The place might not have a fancy variety in its menu as compared to other barbecue places in the city, but it surely delivers a good taste in each and everything that it serves. Making way for a hearty meal is Big Feast Bar Be Que & Buffet Restaurant in Dehradun. This place is synonymous with delicious food that can satiate all food cravings. It is home to some of the most appreciated cuisines. 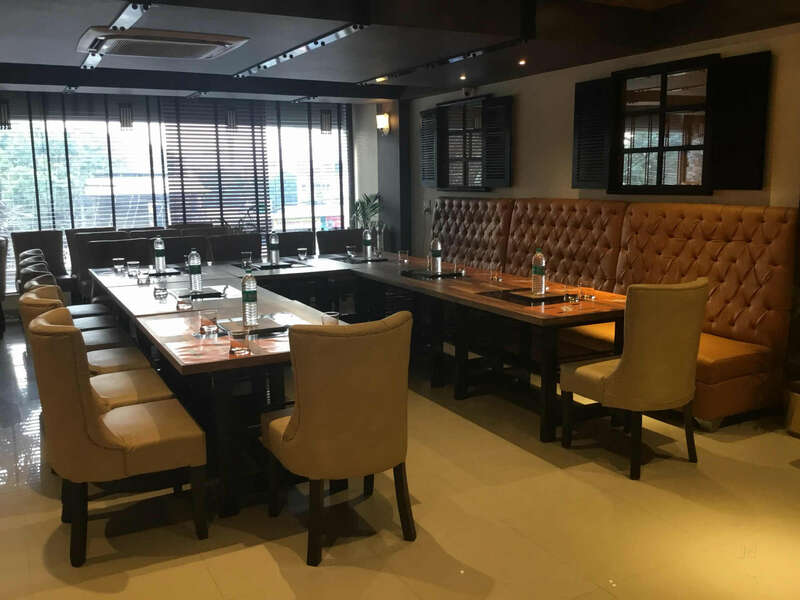 Courtesy to this strategic location, foodies in and around the neighborhood can walk in to this eating house conveniently without facing any hassles related to commuting to this part of the city. Big Feast Bar Be Que & Buffet Restaurant at Rajpur Road makes sure one has a great food experience by offering highly palatable food. If you are on a special diet and are looking forward to munch on to some healthy yet flavoursome greens, you can try the delicious variety of salads that Big Feast has to offer. If you’re a beverage person then try the variety of thick shakes and mocktails like the Vanilla Shake, Strawberry Shake, Virgin Mojito, Virgin Colada, Brewery Punch and so much more. Turning up to the dessert section, at Big Feast. its a party for y’ll with a number of Indian desserts like phirni, gulabjamun along with creamy puddings and ice creams makes your evening worth a million bucks at throw away prices.